Time is the universal commonality between cultures, countries, genders, and generations. It’s this omnipresent shared experience that links dentist appointments with rodeos, sprinters with sommeliers, and even virgins with Viagra; duration has a bearing in everyone’s life. It’s all relative, of course, as Einstein taught us. Humans have tried to quantify this evasive commodity through the use of clocks for thousands of years, attempting to measure the past, present, and future in myriad ways. Magellan used an hourglass to aid his circumnavigation of the globe, Romans kept time with a sundial, and Egyptians relied upon water clocks to plan for the afterlife. Some devices are more accurate than others, but saving the correct hour, who’s to say which is best? Enter Tony Espinoza of San Francisco Soundworks, a recording studio that provides high-end client services as well as lo-fi options for newcomers. Espinoza makes a living by producing music, and has worked with artists as diverse as Ice Cube, REM, and Radiohead. It’s no secret why so many would want to lay it down at his spot: Aside from the acoustic expertise, the studio is one of the slickest around. The working space is clad in rich wood paneling, punctuated by the rough industrial texture of concrete and plump organic softness of sound baffling. Espinoza’s forte is harnessing abstract expressions of time and emotion into tangible, danceable manifestations. Who better to opine on wall clocks than someone who not only keeps an eye on the session time everyday but also crafts the soundtracks that chronicle the memorable minutes of our lives? 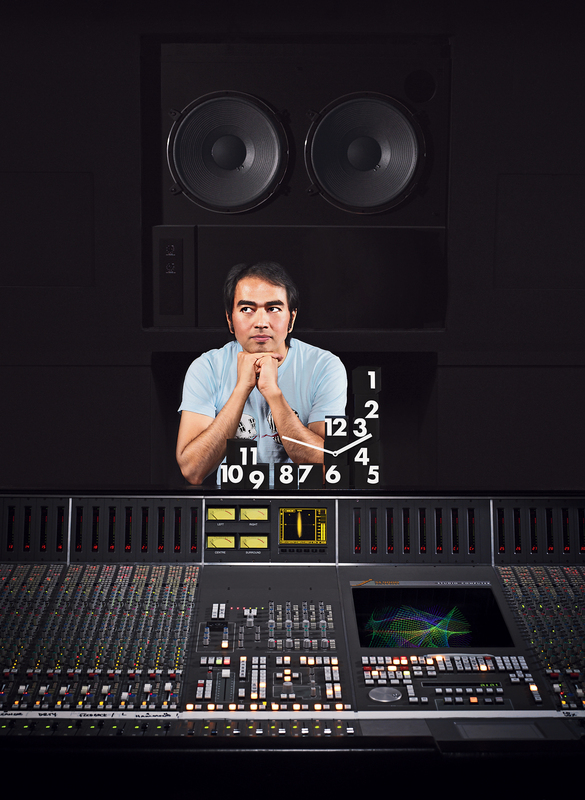 We clocked a few hours in the studio with Espinoza to see which devices did the best job keeping time. Tony Espinoza is the man behind San Francisco Soundworks, a full-service multiroom recording studio that’s putting the city back on the map as one of the top places to hit the charts. This German-made piece is modeled after classic Black Forest design and updated with sleek and modern proportions. A classic since 1971, when Arne Jacobsen created it for the Danish National Bank in Copenhagan. Designed by the Swiss architect in 1957. Designed by George Nelson in the late 1950s, the Petal Clock has been re-released by Vitra.